It is the Bloody Mary's 80th birthday! 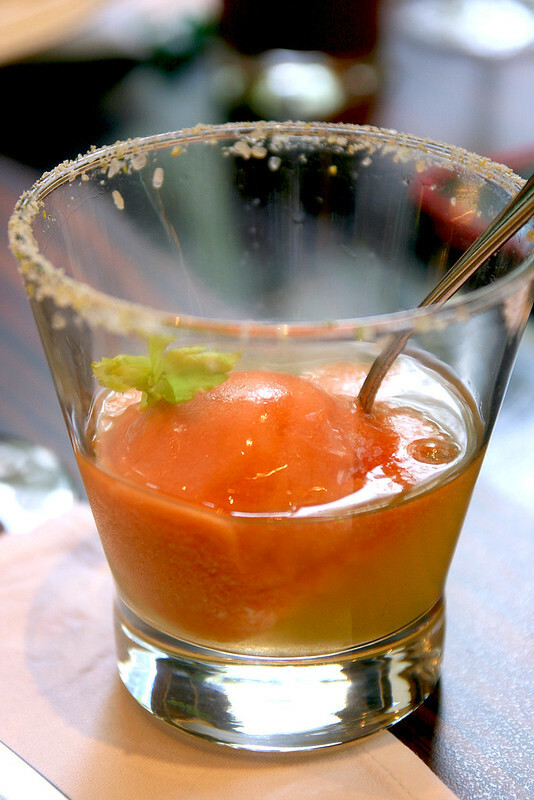 This classic vintage cocktail was perfected at The St Regis New York in 1934 when bartender Fernand Petiot at The King Cole Bar spiced up a tomato juice and vodka libation with celery salt, pepper, cayenne, lemon and Worcestershire sauce. Today it remains the signature cocktail of the St Regis brand, and every hotel has its own localised version. Here at St Regis Singapore, you can try the Chili Padi Mary, which carries a thrilling kick from the strong chili heat, along with sweet hints of lemongrass and ginger root. I like it. By the way, this photo above is taken at Astor Bar on a HTC One Max from HTC Singapore. I was pleasantly surprised it turned out so well! No editing (except for cropping the bottom slightly) and no filters applied. My best shot so far, using the HTC. Still learning how to use it! 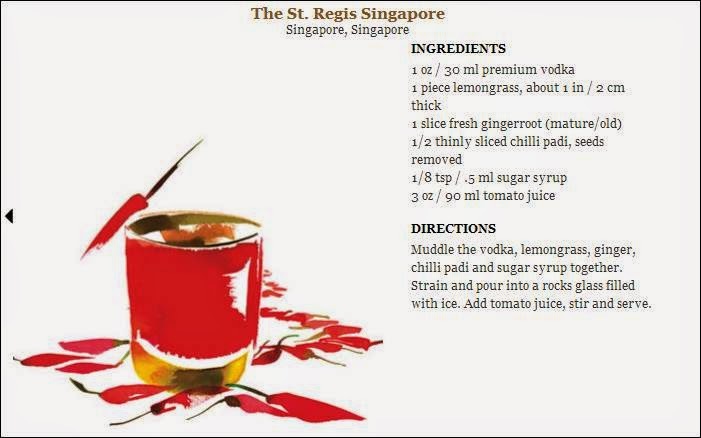 The St Regis Singapore is also presenting epicurean celebrations to showcase the Bloody Mary. 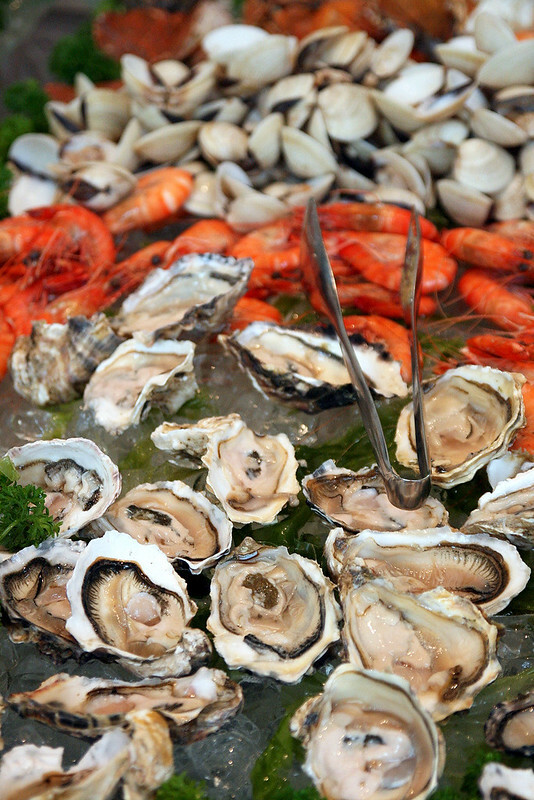 The month of October will see the St Regis Bloody Mary Anniversary Brunch on Sundays (5 to 26 Oct 2014) at Brasserie Les Saveurs. It's a four hour affair, starting with complimentary aperitifs at Astor Bar at 11am, progressing to the full brunch from noon to 3pm. 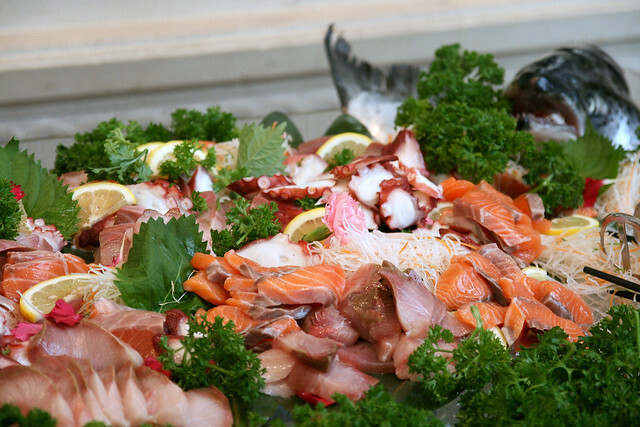 The highlight for many folks at a brunch - the bountiful seafood on ice! Fresh sashimi laid out in what some might term an orgasmic mess. 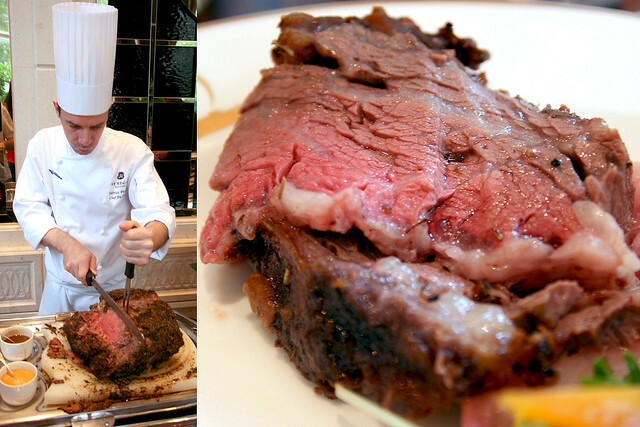 The chef carving out exquisite slices of Prime Rib of Grass Fed Beef. 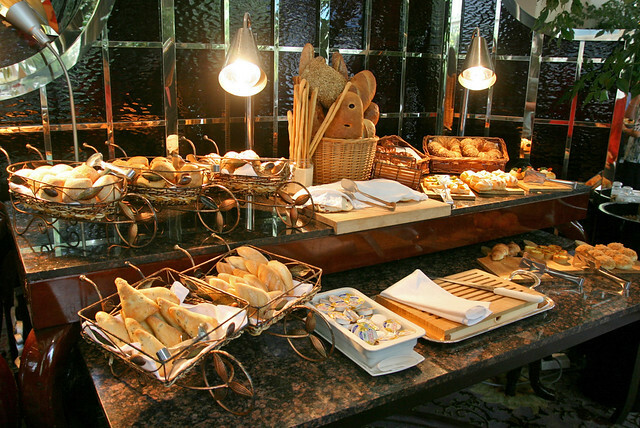 The bread station for all your carb cravings. A small but satisfying cheese board. 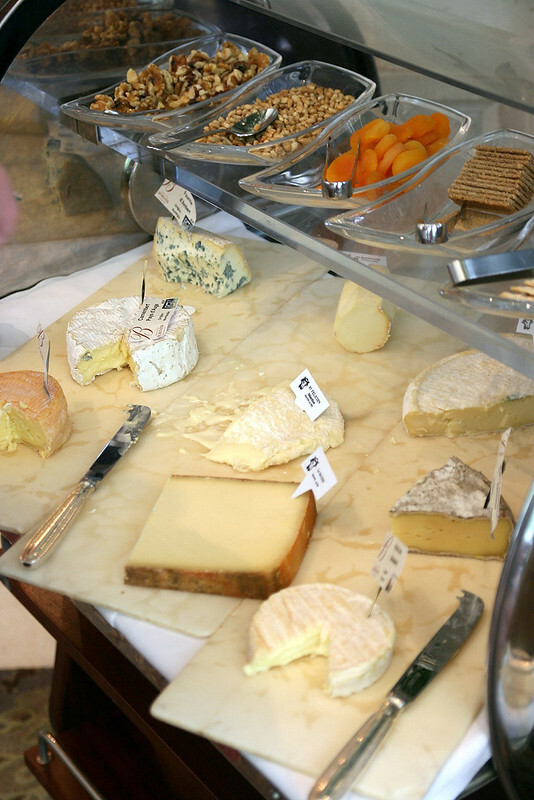 Yes, they have Camembert. Brownie points! 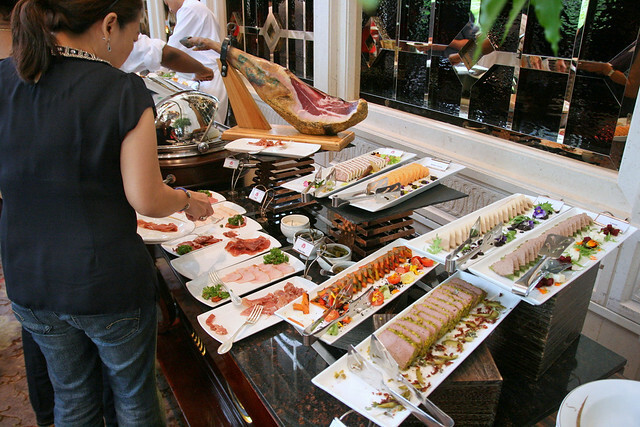 Cold cuts and charcuterie - a pretty decent spread. Look at the leg of Jamon...mmmh! 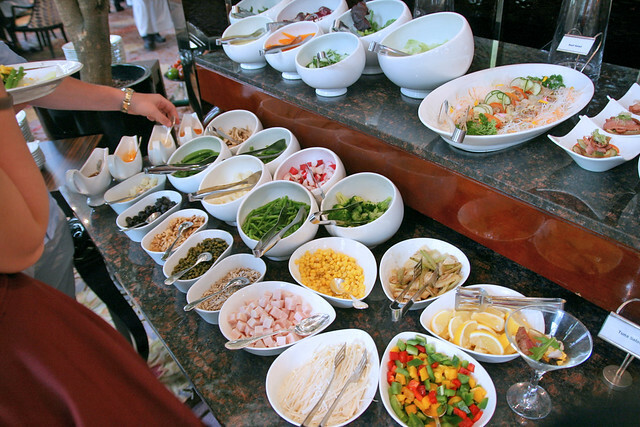 Salad station - for that balanced breakfast with greens and vitamins. 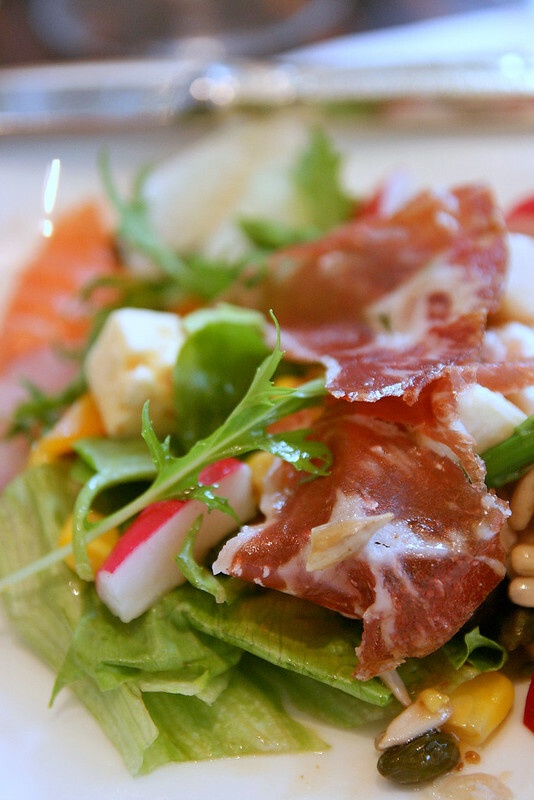 Create your own Jamon salad! Sometimes I like to mix things from different stations. 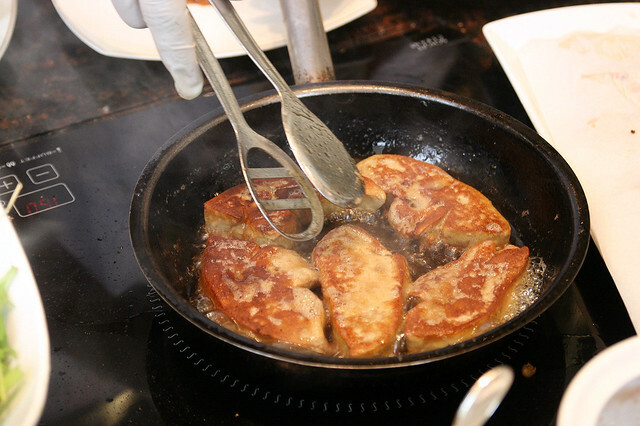 Generous lobes of fine foie gras sizzling upon order. 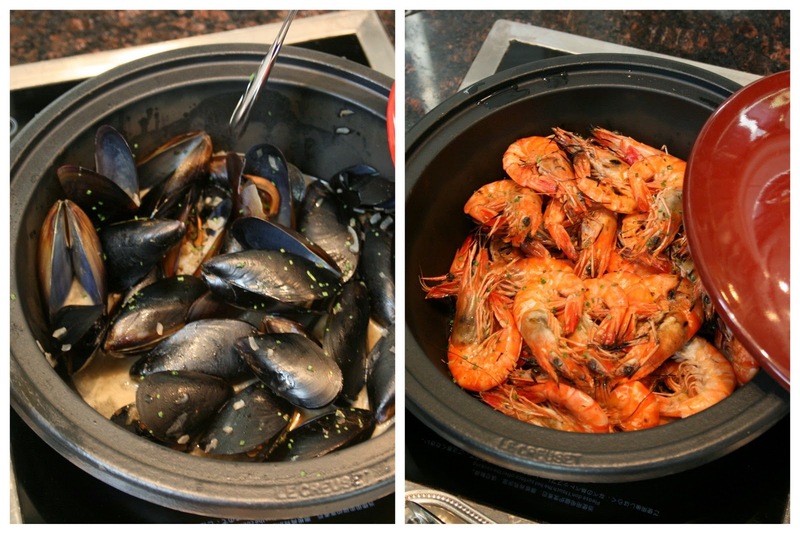 In addition to the cold seafood, there's hot dishes too - mussels and grilled prawns. I kinda preferred these - much more flavourful. 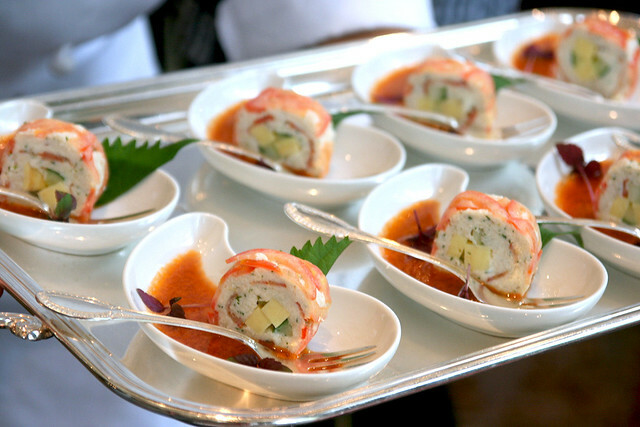 In addition to the regular brunch dishes, the Bloody Mary anniversary brunch also features pass around canapes and main dishes made with ingredients normally found in the cocktail. There are various other main dishes you can also order. 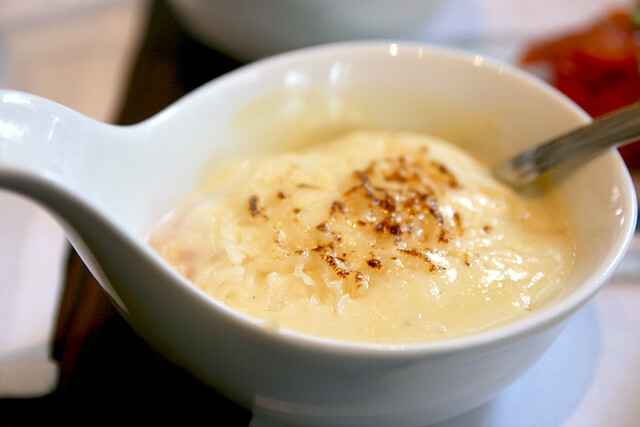 More pass around goodies like the Poached Egg with foie gras foam and parmesan cheese. Break it up, mix it up, and inhale. Say "Oh my god..."
There is a bespoke Bloody Mary trolley for you to experiment with. 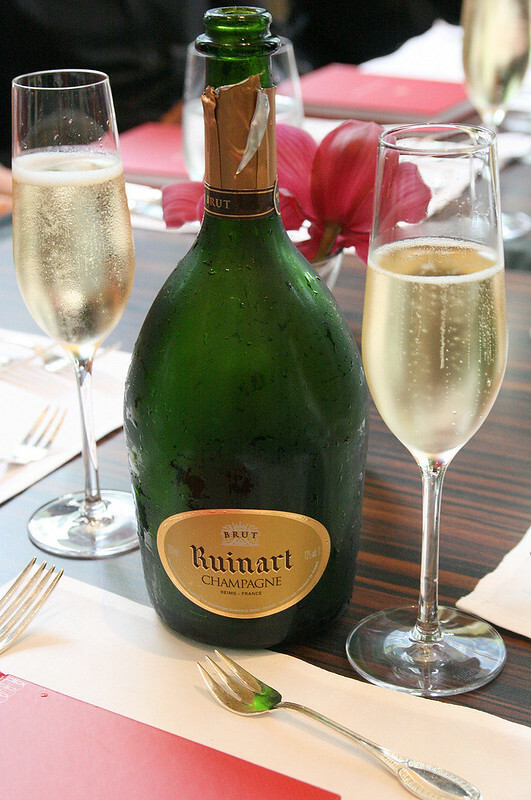 But if you prefer, you can also opt for Ruinart Champagne for the brunch. By the time you reach desserts, they will probably look this dreamy. 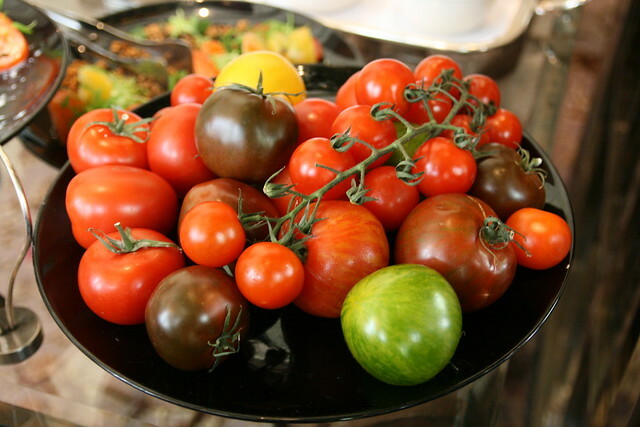 Well, who knew tomatoes could bring such joy. 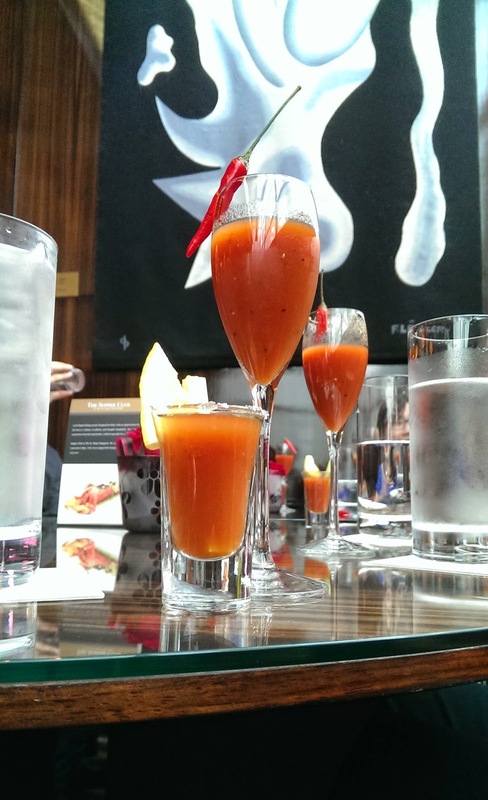 The Bloody Mary would not exist without them. And here's a quick recap of the brunch, done using the Zoe video feature on the HTC. It puts together photos and videos with music and effects, easily. 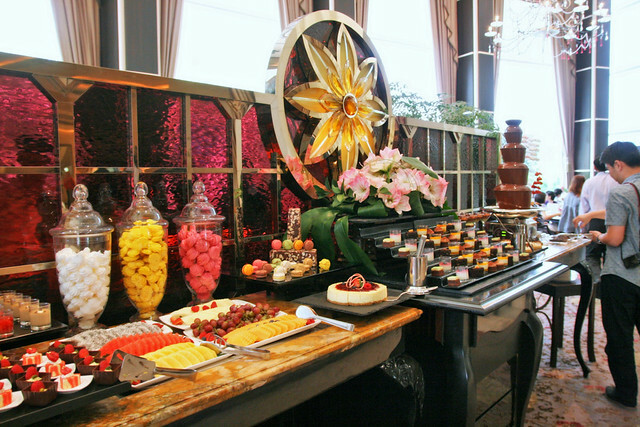 - Epicurean Delight ($148++) with complimentary flow of freshly brewed coffee and tea. 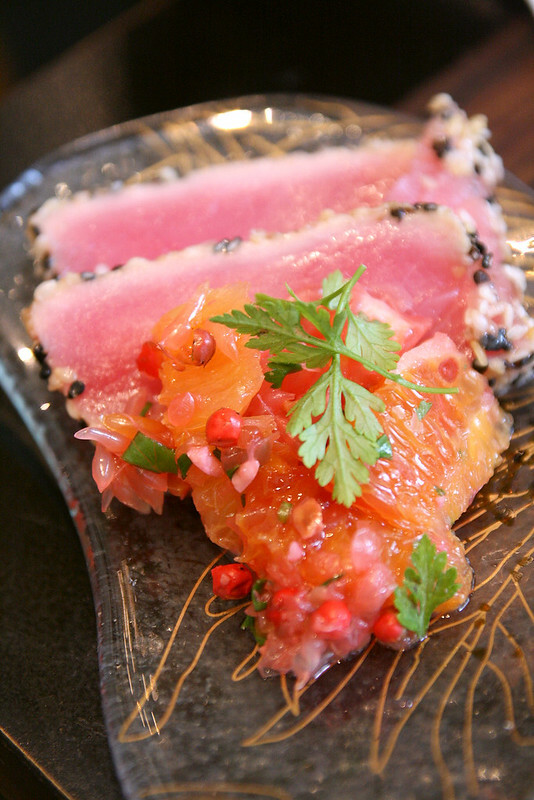 - Astor Indulgence ($180++) with complimentary flow of wines, beer, soft drinks and juices. 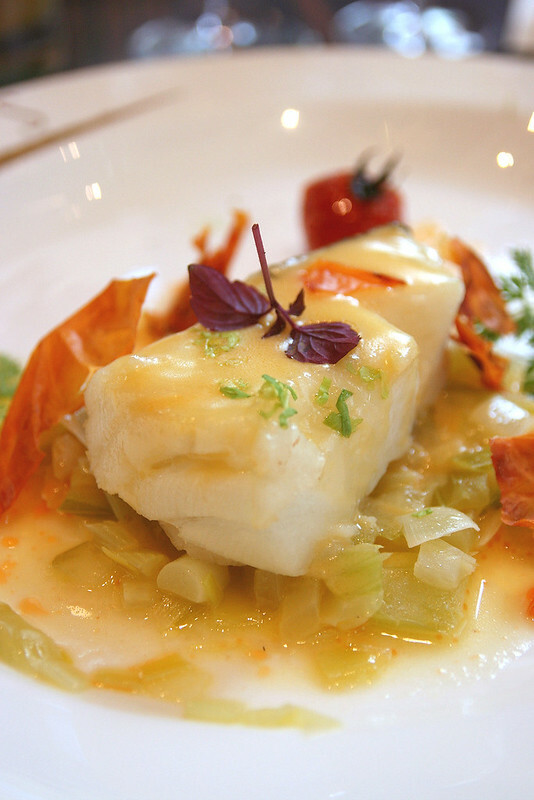 - Connoisseur Experience ($195++) with complimentary flow of Ruinart champagne, wines, beer and juices. Here's the recipe for the Chili Padi Mary (click to see bigger version), should you be inclined to try it at home.